Introducing, Danny and Maddy — A.K.A. THE CUTEST COUPLE!!! But really, they are. Seriously! 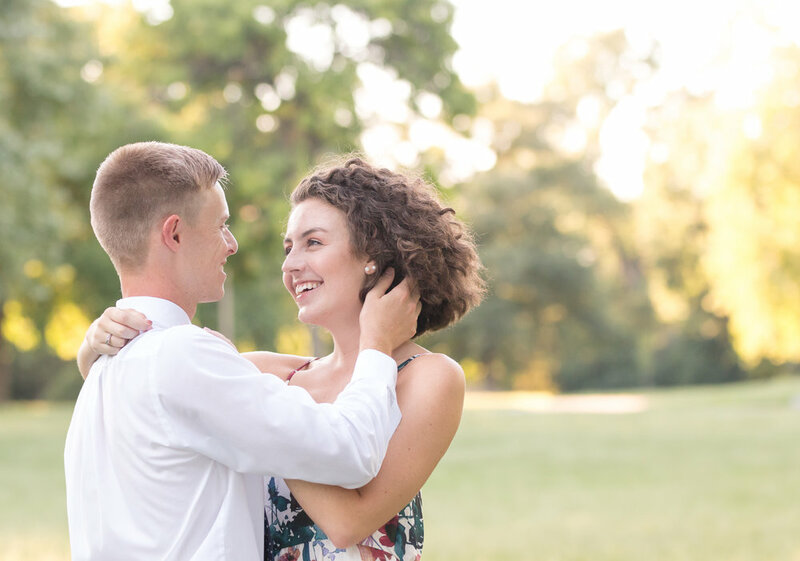 These high school sweethearts won the Cutest Couple Award back in high school. And it appears they haven’t missed a beat. 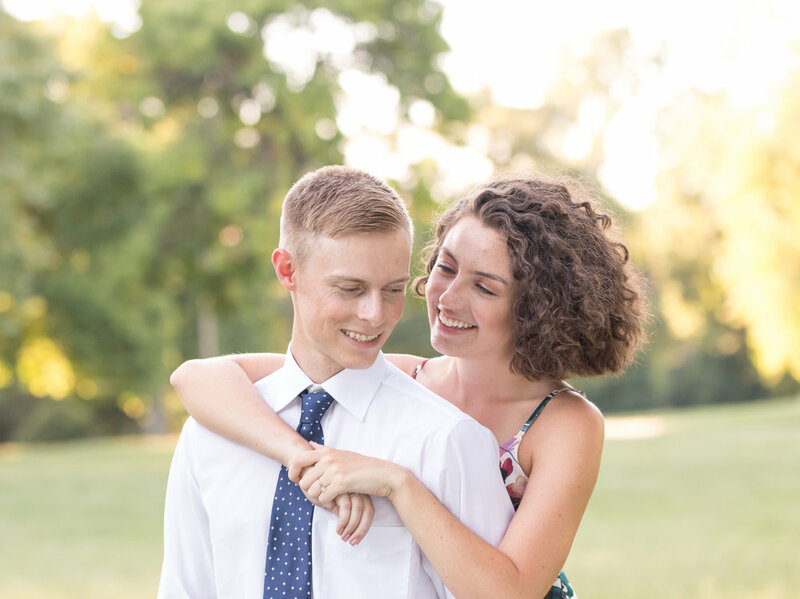 Shooting their engagement session at Lafayette Park in St. Louis was ridiculously fun. 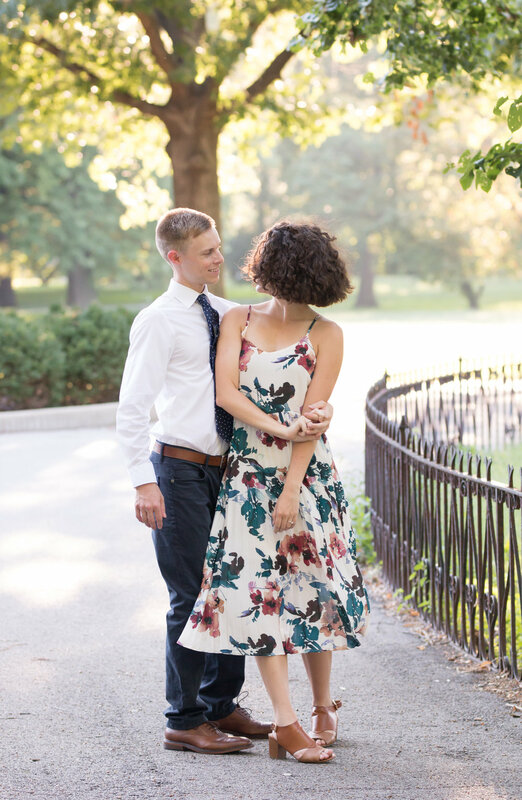 Yes, it was hot and humid, but who cares when there’s that much love in the air?! 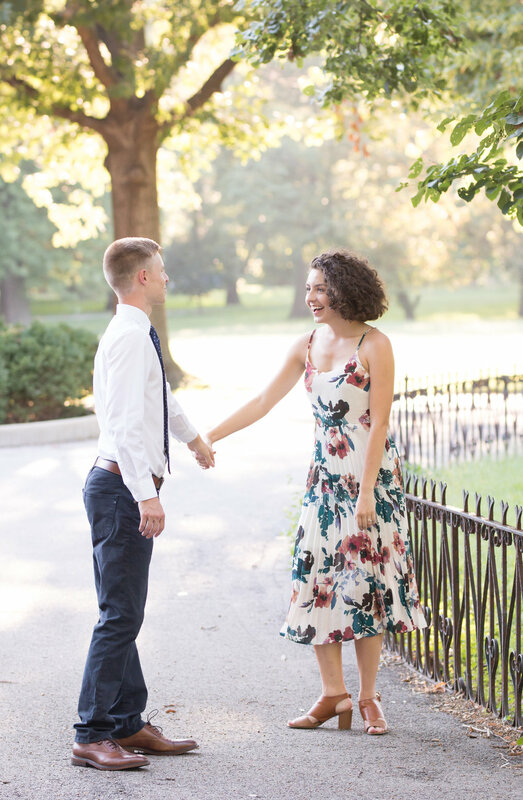 Danny and Maddy met in high school and — wait, we’ve already covered that. 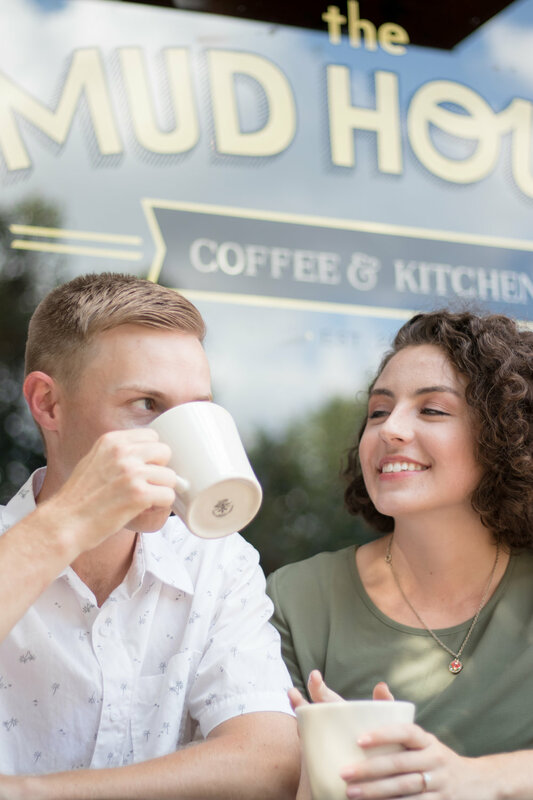 If I were to imagine a typical morning of Maddy and Danny’s, it might begin with fond conversation over a morning a cup of Joe. Always impassioned, never irritated. The morning unfolds as each part ways. It’s off to school or work. For Maddy, she’ll soon be done with her second year of graduate school. She’s studying speech pathology, and is excited for the transition to a new professional chapter in life. Danny has similar feelings as he transitions careers as a mechanical engineer. 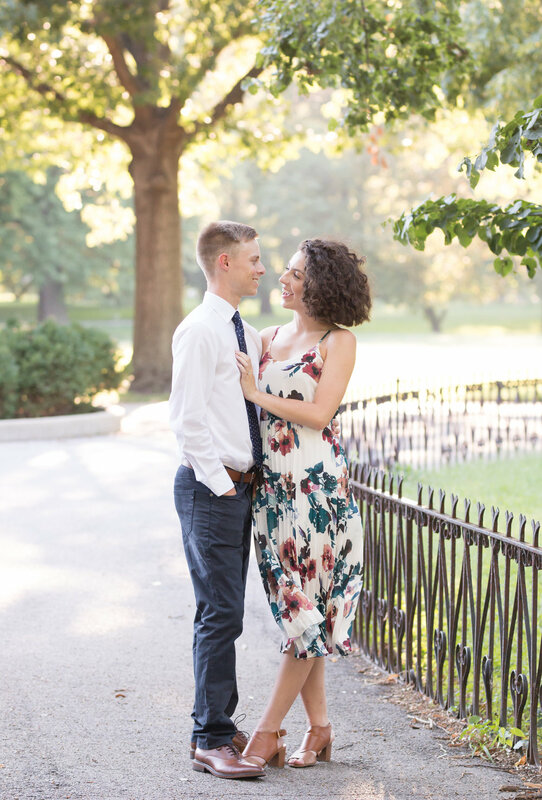 Their ideal day might be capped with a Netflix or Hulu binge … possibly after a competitive game of tennis if time allowed, or maybe following a date night. They are big foodies! 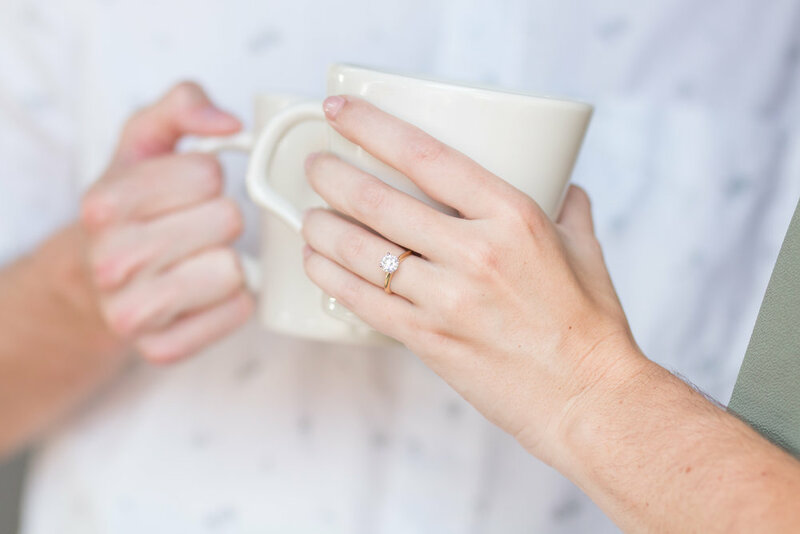 No matter what the agenda or stress level of the day, they are a total match made in heaven. They are both intelligent and ambitious individuals, but their personality strengths are exposed when they are together. 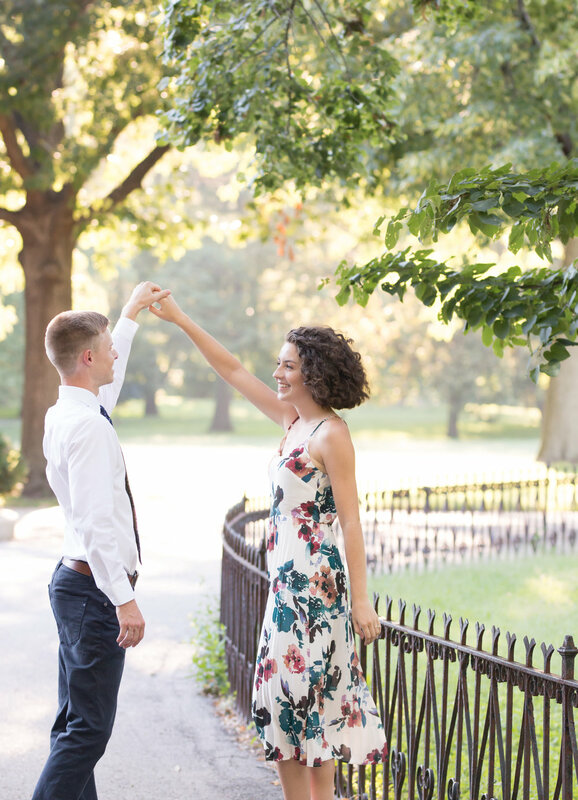 During our engagement session with them at Lafayette Park, anytime we took our eyes off of them for a second, we would catch them high-fiving, fist-bumping, or laughing together. Living in their own world. And totally in love. These two are genuine naturals in front of the camera, and required almost zero posing coaching from us. 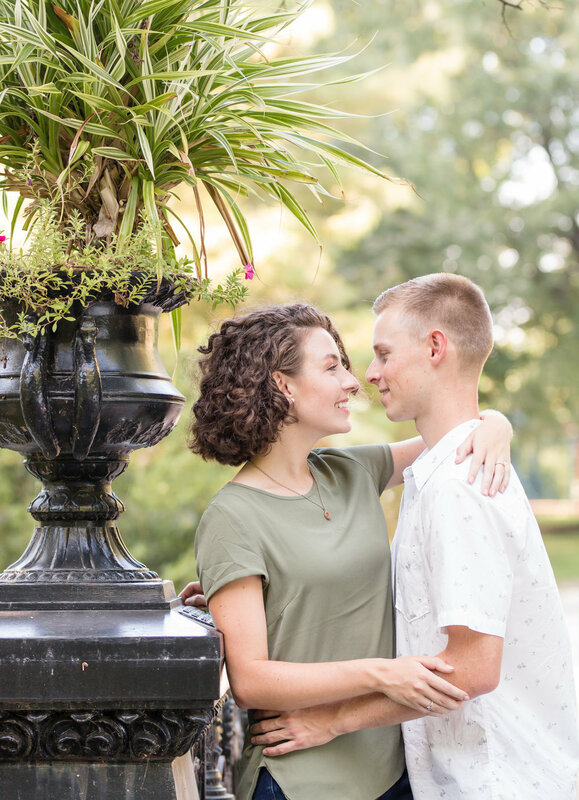 Maddy and Danny, we LOVED spending time with you during your engagement session!! And we are grateful to spend a little extra time with you post-session, and the opportunity to introduce you to Clementine’s Naughty & Nice Creamery in Lafayette Square! Keep that love strong, guys! We’re so excited for your big wedding day next year! 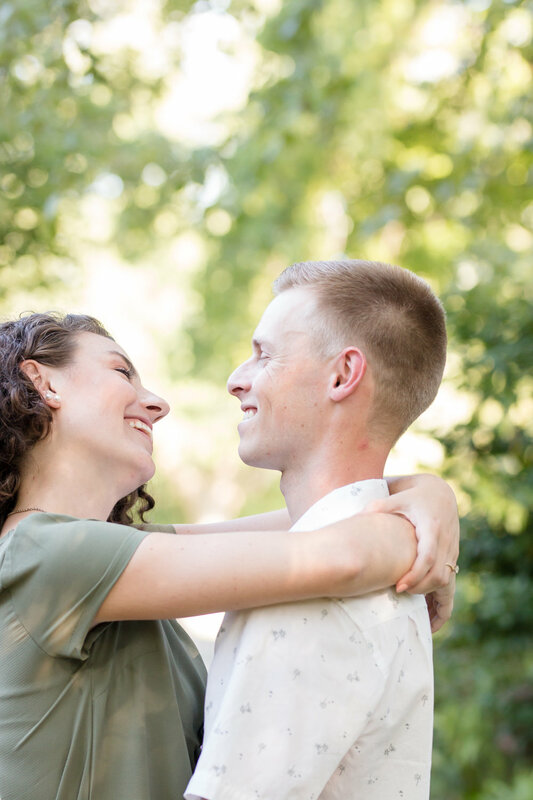 Check out Danny and Maddy’s session and drop us some thoughts!! !